Providing the highest video bandwidth and fastest rise times, RTP5000 peak power sensors with Boonton’s Real-Time Power ProcessingTM deliver 100,000 measurements per second, no gaps in signal acquisition and zero measurement latency. Combining this performance with automatic pulse measurements, CCDF and crest factor statistical analysis, multi-channel capabilities and documentation tools RTP5000 peak power sensors are the ideal instrument for fast, accurate and reliable RF power measurements. View Video of Conventional USB vs Boonton Real-Time Power Processing™ technology. Real-Time Power ProcessingTM (RTPP) technology is a unique parallel processing methodology that performs the multi-step process of RF power measurement at incredible, unmatched speeds. While conventional power meters and USB sensors perform steps serially, resulting in have long re-arm times and missed data Boonton sensors with RTPPTM capture, display and measure every pulse, glitch and detail with no gaps in data and zero latency. WaveRunner 9000 oscilloscopes have the industry's widest and deepest collection of tools, making it unbelievably powerful and MAUI with OneTouch makes measurement setup insanely easy, providing faster time to insight. Featuring 256 2-pole crosspoints, these matrices use gold-plated contact electro-mechanical relays to switch up to 300VDC/250VAC and up to 60W maximum power; maximum current is 2A, hot or cold switching. The integrated BIRST self-test hardware provides a quick and simple way of finding relay failures within each module. The Asterion AC 1U / 2U family gets an even bigger brother… the 4U, 4.5 & 6 kVA! (Supports single and three phase with configurations up to 36 kVA). Combine units for multiple phase configurations. 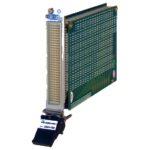 The Catalyst AL is a Rugged Low-power Embedded Module Based on Intel® Atom™ “Apollo Lake” CPUs. Powered by the Intel Atom E3900 “Apollo Lake” processor family, the Catalyst AL is a small form factor Computer On Module (COM) designed to deliver high computing performance while maintaining a very low power consumption. It is available in dual and quad core versions, with up to 8GB of RAM with ECC, up to 32GB of eMMC and two SATA interfaces. The Catalyst AL will be available for orders from Q4 2019. TMS is a Manufacturers' Representative Company serving high-technology customers in the Rocky Mountain region. Our two divisions focus on High End Test & Measurement Instrumentation and Embedded Computing Systems.